Colour engraved plate from Volume 1 of Pierre-Joseph Redouté's 'Les Liliacées'. 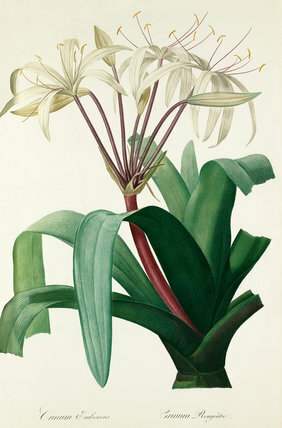 This work contains a total of 486 plates depicting plants from the Liliaceae family. Belgian born Redouté achieved success as a painter working for the French royal court as a tutor to Marie Antoinette and later from 1798 was appointed to paint the flowers of Malmaison by Josephine Bonaparte. His famous published works also include 'Les Roses'.